When people think of resistance training, they tend to think of weight training. When people think of weight training, they often think of a gym or gym setting. Sure, there are more and more gyms available to people in their apartment/condo buildings nowadays; and some people have also set up home gyms. The reality is, you do not need a whole lot of complicated equipment, or space, for that matter, to have a quality resistance training workout. In essence, your muscles do not know how much weight you are actually moving/lifting, they can only encode the amount of resistance that is applied to them. Hence the term, resistance training, which not only includes weight training (free weights and machines), but also calisthenics/ bodyweight exercises, and use of tools such as resistance bands, pull up bars, gymnastics rings and straps, etc. Muscle balance is important in order to ensure proper muscle length-tension around the joints, which is the main deterrent to chronic joint pain/injuries. This means that maintaining proper posture will most certainly keep you in the fitness game for longer with far fewer injuries. Aside from an abrupt injury such as a tear or accident of some sort, many (chronic) injuries are due to poor resting posture, poor exercise biomechanics, and general overuse of certain repetitive movement patterns. Chronic injuries are the type that slowly creeps up on you, and can lingers on for a very long time. - Try to keep the volume of pushing exercises (ie: the number of sets and reps especially) equal to that of pulling exercises so as to maintain a muscular balance. Pushing exercises can are often, but not exclusively, characterized by presses, extensions, dips, squats, and any other exercise where you are pressing away from your body. Common pulling exercises include rows, pullups, curls, raises, etc. Almost all aforementioned exercises can be performed with weights or our resistance bands for pushing and pulling. - If I notice that my shoulders tend to be more hunched forward, or I feel a pinching, in the front of my shoulder joints, I will decrease the volume of pushing exercises (chest presses) and flye movements, while increasing the volume of pulling exercises (those that involve scapula retraction such as horizontal rows, and rear-delt flyes. In conjunction with the aforementioned, stretching the pec major and pec minor between a doorway, for example, tends to help mitigate the pinching feeling in the front of the shoulder. I try to keep the volume of scapular elevation exercises (upward shoulder presses, side raises, shrugs, etc.) equal to that of scapular depression exercises (lat pull downs and dips, when both are performed properly). Since chest presses and lat pulldowns tend to favor internal rotation of the shoulder joint (so does sitting at the computer typing out blogs LOL), I will incorporate external rotation exercises (my pick of the minute is a clean and press movement, using lightweight, or rather weight that I can control the external rotation portion of the movement, without using momentum. WHAT DO MUSCLE STABILISERS DO AND HOW DO YOU WORK THEM? Muscle stabilizers are muscles (usually smaller than the main working muscle), that stabilize a joint so the main working muscle can do its job properly. If you already have good exercise form, the stabilizers will be working properly. However, many of us are out of whack, so we need to begin by isolating a particular stabilizer muscle and work it alone, and then eventually integrate the now properly working muscle into the exercise where said muscle was not functioning correctly. *Unstable surfaces are those that force to you maintain your balance by engaging your core muscles. Examples of these include physio balls, Bosu balls, or standing on one leg. These provide an excellent medium for improving balance/proprioception, core stability, and total body strength. The F.I.T.T principle is an important principle when measuring the input of your workouts, as it allows you to gauge what you are doing and you can build a strategy/program that will allow you to continually progress forward. Frequency of training- This refers to the number of times per week that you will be training. As training requires repetition and consistency in order to yield results, the more frequently you train, the ‘faster’ your results may come. This is provided that you allow enough time for recovery of torn muscle tissue and fatigue. A good rule of thumb for after a training session would be to experiment with how many days you need to recover from the workout such that you are able to perform the same workout as the same intensity level. As you get stronger and fitter, adjustments need to be made along the way to the frequency of your workouts. Intensity – This is the level of difficulty that you do your workout. You can use the BORG modified level of perceived exertion scale for this. Basically, use a scale from 1 to 10, 1 is super easy, 10 is super difficult, and let’s say 7 is the sweet spot to be training in. A 7 on 10 on this scale equates to you training at 70% of your maximum capacity. Time- Time is the duration of your workout. If you are performing these workouts in a non-stop circuit, keeping track of time is beneficial. If you are performing the workout in straight sets with a rest period in between, you may want to track the rest periods, as you may increase and/decrease the rest periods in order to raise or lower the workout level. Tempo- when pertaining to resistance exercises, the tempo will be the speed at which you perform the exercise. When you slow the tempo down, you are taking momentum out of the equation, and are therefore increasing the difficulty of the exercise, and vice versa. 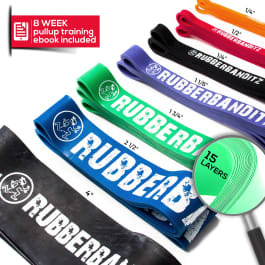 Resistance bands provide a great ‘elastic’ force to supplement or substitute in for your weight training exercises. As with traditional exercises, there is a point where you are weakest (eg: on the bench press that would be the lowest point of the movement, closest to your chest), and a point where you are strongest (usually just past the halfway mark of pressing or pulling). 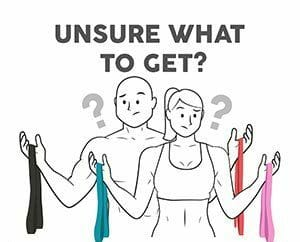 Adding resistance bands to any exercise immediately provides an ascending resistance to dynamically challenge your muscles as the elasticity tightens. These can broadly be applied to upper body exercises, lower body exercises, and core-centric exercises. *The same principle can be applied to a pushup using a resistance band wrapped around your back. This type of pullup bar that you can hook into your door jam and be easily removed when you finished. These are an optimal piece of bodyweight training equipment for people working out at home. Note that this apparatus can also double for a pushup bar or dip bar when placed on the floor. These three movements (pull-ups, push-up, and dips) constitute the best all-around upper body strength exercises. Gymnastics rings and straps are the “old school” version of what became Suspension Training when TRX joined the market. This type of training has been around for ages because of their unique ability to offer pushing exercises, pulling exercises, and static isometric exercises. For example, if you can’t quite do a pullup or want to scale your reps, you can lower the rings so your feet are on the ground and perform modified pull-ups. There are numerous valuable bodyweight exercises onceone can perform on the rings that build strength, stability, muscle growth, and endurance. 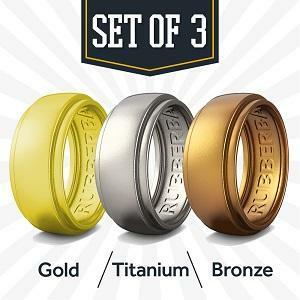 We added these because they dramatically increase the array of exercises one can perform with their resistance bands. Simply anchor them to the wall to give yourself a versatile, load bearing, anchor point that you can do both unilateral and bilateral exercises with. These are particularly great for those explosive exercises that combine motion with pushing and pulling (such as the resistance band simulated Jammer Press). Please feel free to contact with comments, questions, or concerns. 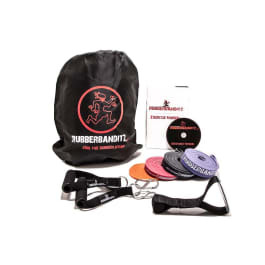 Make sure to check out our Instagram as well @rubberbanditz for a depth of training ideas you can try with the equipment listed above.